Thinking of starting a home renovation business? DreamMaker® Bath & Kitchen may be the franchise you’ve been looking for. 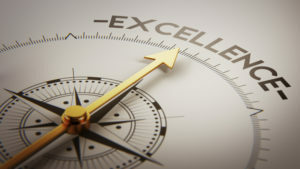 At DreamMaker Bath & Kitchen, we know perfection is impossible, so we strive for the next best thing: excellence. It’s a great time to start a home renovation business, but if you have no previous entrepreneurial experience — or if your existing home renovation business is growing so quickly you don’t know how to scale — turning to an expert like DreamMaker can be a game-changer. We’re a full-service interior bath and kitchen remodeling franchise that thrives on strong margins and high franchisee satisfaction. Franchise Business Review has named DreamMaker “among the best” when it comes to franchisee satisfaction. We believe our success has everything to do with the guiding principles we’ve established. When President and Chief Stewarding Officer Doug Dwyer took the helm at our kitchen and bathroom remodeling franchise, he established the DreamMaker Code of Values as the company’s guiding principles. It is Dwyer’s belief that we can run a business and be driven by values at the same time. Just this year, we were ranked among the largest remodelers in the U.S. by Remodeling Magazine and Qualified Remodeler. We continue to grow because our transparent business practices of treating everyone with care, from customers to vendors to each other. We prioritize people over profits, and we understand that we need both to succeed. Our Code of Values™ was established so everyone’s expectations would be clear. Our company was founded on integrity and mutual respect. This set of values is based simply on Biblical principles, and we strive for excellence, not perfection. When someone makes a misstep, we hold them accountable in a respectful way. It has always been our belief that abiding by these common values is the right way to do business. We treat each other based on these principles, we run our businesses based on these principles, and we let them guide our customer relationships. It’s one of the biggest reasons customers come back to DreamMaker. It’s also one of the biggest reasons people interested in starting a home renovation business choose to invest in a DreamMaker franchise.